Plesk uses MySQL as both admin and client RDBMS. Plesk 11.5 for Linux and higher allows for MySQL alternatives (such as MariaDB or Percona Server) to be used as drop-in replacements for it. Upgrade from installations with drop-in replacements is also supported.This guide will explain in great detail how you can replace MySQL server on a Plesk installation with MariaDB server. The guide is aimed at administrators with intermediate experience and understanding of package management for their OS. Also basic experience with services management and MySQL maintenance required.This guide is essentially a more detailed version of the official documentation page. Please read up to the end of this guide before doing any actual changes on your server. MariaDB is available from vendor OS repositories only on SuSE 12.2 and higher. On any other OS third-party repository should be added.Go to https://downloads.mariadb.org/mariadb/repositories/ to generate repositories configuration appropriate for your system. Simple wizard will guide you through the process. On step 3 “Choose a Version” choose 5.5 or below. Don’t attempt to install MariaDB as drop-in replacement with version less than you had (for MySQL) before! We don’t support MySQL 5.6 and drop-in replacements based on it yet as well.Warning: Don’t disable MariaDB repository after you’ve installed it. Plesk will require it to be enabled for updates. Disable WatchDog module in Panel if you have one. Disable any other custom monitoring services that may resurrect MySQL daemon if you have any. You can use ts command in yum shell to view current transaction contents. Enable WatchDog and any other service disabled on step 3. In all other cases this instruction should be followed. Perform backup and stop WatchDog if you have one enabled. See Installing Using Yum (CentOS & RedHat) for details. After this operation, 6,025 kB disk space will be freed. Selecting previously deselected package libmariadbclient16. mysql-server-5.1 depends on mysql-client-5.1 (>= 5.1.66-0+squeeze1). Selecting previously deselected package mariadb-client-core-5.2. Selecting previously deselected package mariadb-client-5.2. Package mysql-server-core-5.1 is to be removed. Selecting previously deselected package mariadb-server-core-5.2. Selecting previously deselected package mariadb-server-5.2. Selecting previously deselected package mariadb-server. Please note that during installation you have an option to either retain old my.cnf or install the one packaged with MariaDB. By now MariaDB daemon is already running and automatic table structure upgrade was performed if required. If you have previously disabled WatchDog it’s now time to enable it. If you experience MySQL errors (especially related to InnoDB), restore previously created backup as described in Installing Using Yum (CentOS & RedHat). If during installation you are asked to enter new MariaDB password, don’t specify it (just hit <Enter>). Otherwise Plesk will not be able to guess your password and access DB server (in other words installation will fail).Interesting observation: if on Debian 6 or Ubuntu 10.04 and MariaDB 5.5 is installed, then libmysqlclient16 will still be provided by OS vendor. But it works quite OK with MariaDB. 3 new packages to install, 2 to remove. Overall download size: 6.5 MiB. After the operation, additional 20.4 MiB will be used. insserv: warning: current start runlevel(s) (6) of script `vzreboot' overwrites defaults (empty). Enable WatchDog if you need to. You can switch back to mysql-community-server the same way. Note that while switching between MySQL variants /etc/my.cnf configuration file may be overwritten. Usually old version is saved to /etc/my.cnf.rpmsave. Here and below AI means Parallels Installer or Autoinstaller. Install MariaDB using steps described in Installing MariaDB. If you have a Plesk with MySQL and want to replace it with MariaDB, follow these steps. 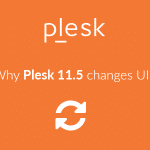 Upgrade to Plesk 11.5.30 or later via AI. Replace MySQL with MariaDB using steps described in Installing MariaDB. You will need to somehow disable automatic package updates to Plesk via AI. Otherwise AI will attempt to install OS vendor version of MySQL, which will either fail or wreck your installation. You may encounter package dependency problems during replacing MySQL compared to the guide in Installing MariaDB. # Disable AI to avoid package updates, so MariaDB doesn't get broken. This will make AI fail on any operation. This will obviously disable installation of patches and update notifications as well. We do not recommend doing this! Remember that keeping your Plesk installation up-to-date is essential to keep your server secure!Provided you succeed, such installation may later be safely upgraded to latest Plesk version. See below. Upgrading Plesk to 11.5.30 or later with MariaDB is quite simple and doesn’t require additional steps. Just perform your normal upgrade procedure via AI.Upgrading to versions less than 11.5 with MySQL drop-in replacements will fail, so don’t attempt it unless you know how to do it safely. Nice tutorial, could you make another tutorial for plesk users who have done this upgrade to MariaDB v5.5 but would like to change to version MariaDB v10 ? Please Update This Guide For New Version! this guide explains that how can we replace MySQL server on a Plesk installation with MariaDB server in detail. Good post.